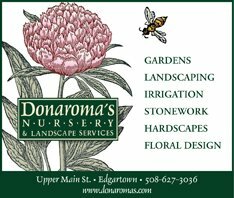 The most inquiries we receive regarding summer plants, bar none are about the Island favorite, that being the hydrangea. This botanical image is on note cards, decorator fabrics, book covers, and has imprinted to our style sensibilities as a New England icon. Every week the floral designers at Donaroma’s produce countless arrangements using many varieties of cut flowers from this single genus. Hydrangeas are a fixture of many Island gardens and homes, and provide a elegant and colorful accent to many landscape designs. 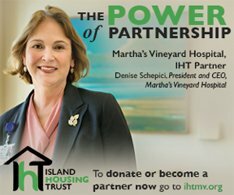 The general public sees Martha’s Vineyard as idyllic and serene, with a tight knit community spirit, beautiful water views and enchanting gardens, all combining to create this summertime narrative. Some of our customers think we take our garden baskets and secateurs and march up and down the streets of Edgartown to gather our daily hydrangeas for our arrangements. The reality is of course far different, as our flowers, depending on the season, come from many different growers and wholesale markets, . Hydrangeas are a versatile plant that can grow in different types of soil, and in both partial shade and direct sun. 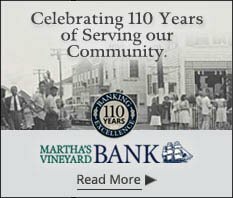 Drive around the Vineyard and you will see them flourishing in such diverse locales as shaded side streets in Edgartown to bright open spaces near the beaches, or tightly clustered landscapes in the Oak Bluffs Campgrounds. They can be found locally sharing spaces with rose bushes, rhododendrons, and other shrubs. Some gardeners enjoy using them as a hedgerow, while others create elaborate mass plantings using them to create a more contemporary landscape. On the Vineyard, there are five species of greatest interest to Hydrangea enthusiasts. Hydrangea macrophylla is what many recognize as the classic big blue or pink blooming flower, with common names as “Bigleaf,” “Mophead” and “Lacecap”. The ph of the soil greatly affects the color of the blooms: an acidic soil with a ph below 7 will typically produce a bloom closer to blue, whereas an alkaline soil of 7 or above will tend to produce pink blooms. Aluminum sulfate may be added to the soil if blue flowers are desired. Old time Vineyard green thumbs would advise you to throw rusty nails in the soil surrounding the hydrangea as one way to keep the blooms blue. Hydrangea paniculata is another hydrangea of local interest. The most well known variety in this group is the “Grandiflora” or “Pee Gee” hydrangea, which has large triangular flowers, with a cream colored bloom, that turns pink as fall approaches, and can then be cut as a dry flower at that time. Like most hydrangeas, they can tolerate salt spray and wind effectively, but care must be given to the branches which can become quite heavy with the weight of the flowers, and may require being grown in a sheltered spot, as opposed to some of the other species. Hydrangea quercifolia or “Oakleaf,” has a leaf similar to that of an American red oak. It will grow in both inland or coastal spots, as long as it is not too close to the sea. Full sun is best for these plants, which feature handsome crimson and scarlet oak styled leaves. The creamy white triangular cone blossoms will turn a delicate pink in autumn. My personal favorite is the “Snowflake” variety, which has a magnificent double flower. Hydrangea serrata , are also known as the “Tree Of Heaven” or “Mountain Hydrangea,” and have leaves with jagged edges, and are best suited in partial shade gardens. They will often have three to four color changes in blossoms during the summer, and only grow about three feet high. The flowers are a delicate lacecap of pink, white or blue florets. 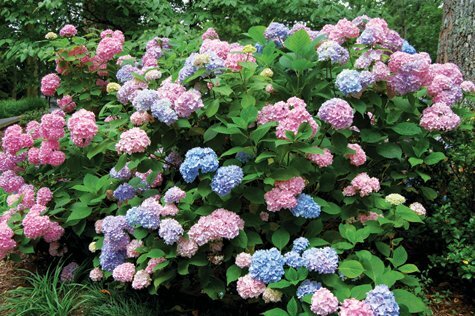 • Cut hydrangeas only early in the morning or in the evening when temperatures are cool. • Strip leaves below the water line to discourage build up of bacteria in the water. • Submerge the head of the flower, stems and leaves in deep lukewarm water to maximize hydration. Hydrangeas need vast amounts of water and will get soft and floppy easily. Submerging the entire flower can help keep hydrangeas from a quick demise. Hydrangeas should be turgid. Some garden varieties simply don’t last as long as flowers bred for the floraculture industry. • You can also try the “Dip” method using alum found in the spice section of a grocery store. After cutting the hydrangeas and placing them into water, cut half an inch of the stem and dip it into the alum powder, and then back into the water.